tutorials - Analytics and Web-Development. Last time we excluded our own IP address from Google Analytics to avoid our testing activity to count toward actual traffic. 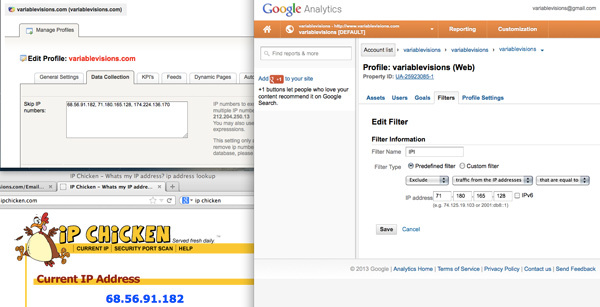 We now exclude our same IP address in our log file analysis, Logaholic. In Logaholic you can retroactively omit past testing traffic...Google Anylitics does not offer retroactive IP filtering.